Did one of Chicago’s most powerful mayors drop a university on the neighborhood out of spite? Ronnie DeMay grew up on Chicago’s far North Side, but he spent his childhood hearing stories about his family’s “old neighborhood” halfway across town — the Little Italy around Taylor Street, where his great grandparents settled nearly a century ago. Like a lot of immigrant descendants, Ronnie wants a place to connect with his roots. All this led Ronnie to ask: What happened to Little Italy? 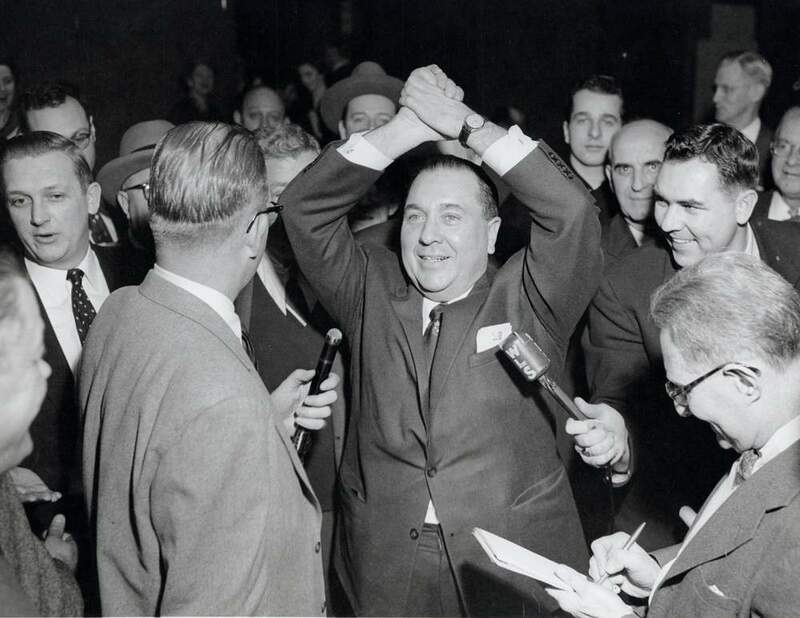 I've heard stories of Richard J. Daley having a dispute with my Italian ancestors and (bada bing!) there were suddenly hospitals, public housing, and a college dropped on their heads. 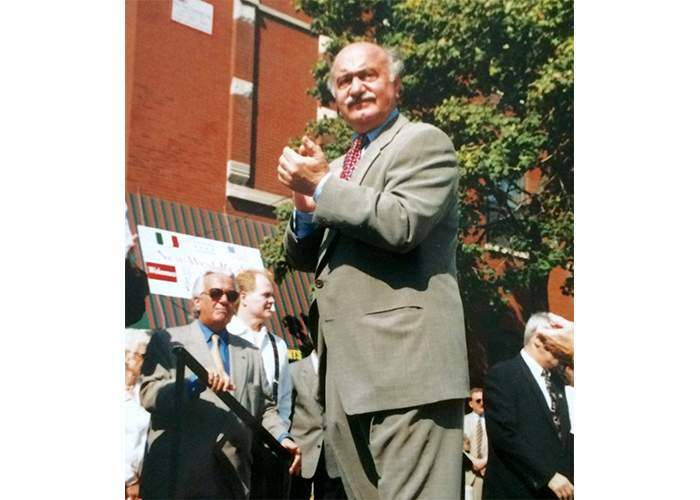 He’s referring to stories from his youth that “the Italians had gone against Daley in an election,” leading the Mayor to unleash waves of public projects on Little Italy, waves that would ultimately wash out hundreds of businesses and thousands of residents. 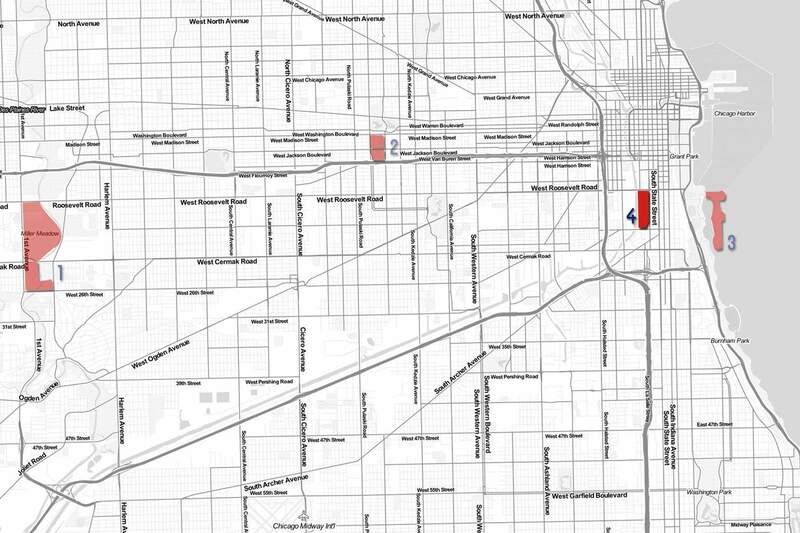 These projects include an expanded Illinois Medical District, the Dan Ryan and Eisenhower Expressways, the ABLA public housing projects and the new University of Illinois at Chicago campus. 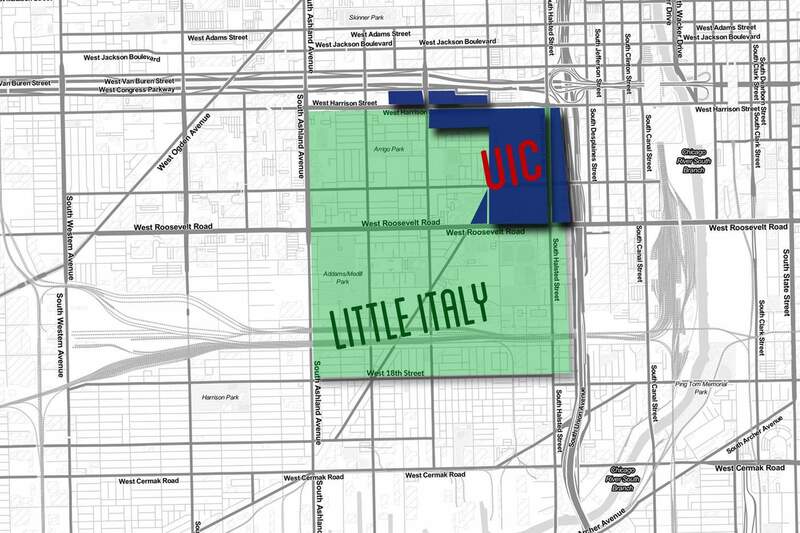 For the purposes of this story we’re zeroing in on UIC and Daley’s push to put it in Little Italy. Why? Each of the other projects did take its toll, but Taylor Street author Kathy Catrambone says “UIC had the biggest impact because it displaced so many people.” She reflects the view of many, including Vince Romano, editor of the Taylor Street Archives, who calls UIC the ethnic neighborhood’s “death knell.” Plus, there are few projects in Chicago history so powerfully linked to the late Mayor. So, did Daley — one of the most powerful mayors in American history — peevishly drop UIC on top of Little Italy as punishment for disloyalty at the ballot box, as Ronnie suspects? It’s worth exploring this theory because it reflects a pervasive suspicion among Taylor Street’s Italian diaspora that the decision was aimed at hurting Italians. 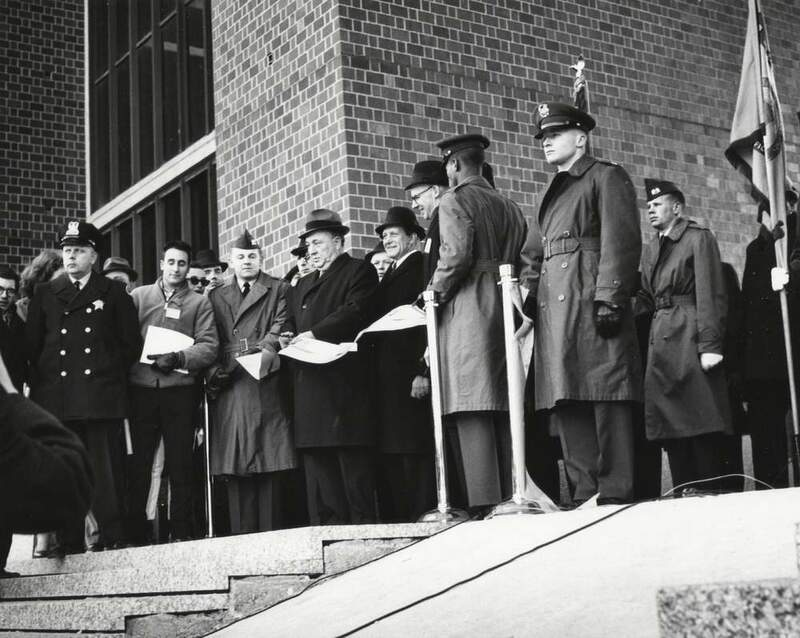 And, though Daley came to see UIC as one of his proudest accomplishments, it came at a high cost — for the Italian-American community and even Daley himself. Let's start with what was happening in Little Italy in the mid-1950s. Daley took the mayor's office in 1955, and — notably — he got overwhelming support from voters in the neighborhood’s 1st Ward. 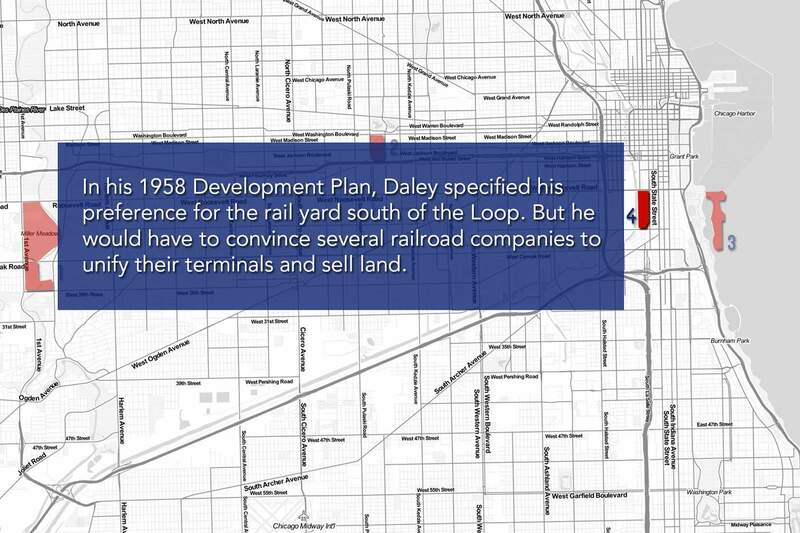 According to the Chicago Board of Elections, in 1955, Daley won the ward with 89.2 percent of the vote. And then in 1959 (the year just before the UIC decision came down) he got 87 percent of 1st Ward votes in the Mayoral election. “We were part of the Democratic machine,” Little Italy native and Loyola University professor Art Lurigio remembers. Still — and we'll return to this later — the environment at the time was complicated. The 1st Ward was led by Ald. John D’Arco, who was infamous for his association with organized crime. In fact, D'Arco's associates were considered so cozy with Daley that it was attracting unwanted speculation. All of this was playing out in a neighborhood undergoing massive transformation. 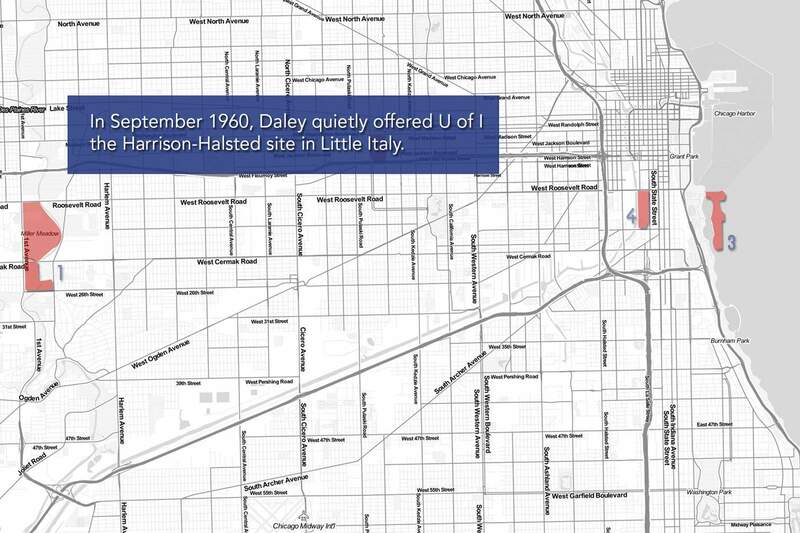 By the late ‘50s, swaths of Little Italy (including the Harrison-Halsted site where UIC would land) had been designated as blighted urban renewal sites. That meant federal money was available to tear down dilapidated buildings and replace them with affordable housing and infrastructure. 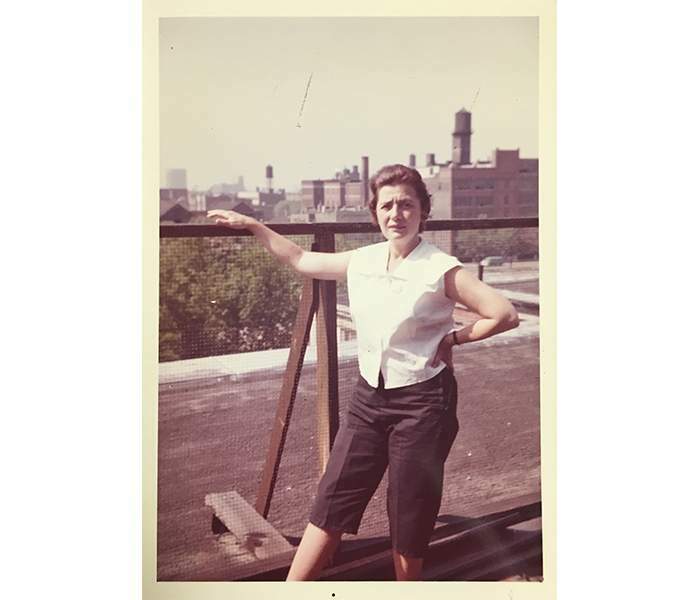 Local activists such as Florence Scala pushed hard for these improvements, and City Hall approved many of them. In 1959 locals even rebuilt the Holy Guardian Angel Church and school that had been razed during construction of the Dan Ryan Expressway. Who attended the school's opening and gave his blessing to plans for the community? None other than Mayor Daley. UIC had conducted undergrad programs at Chicago’s Navy Pier since 1946. 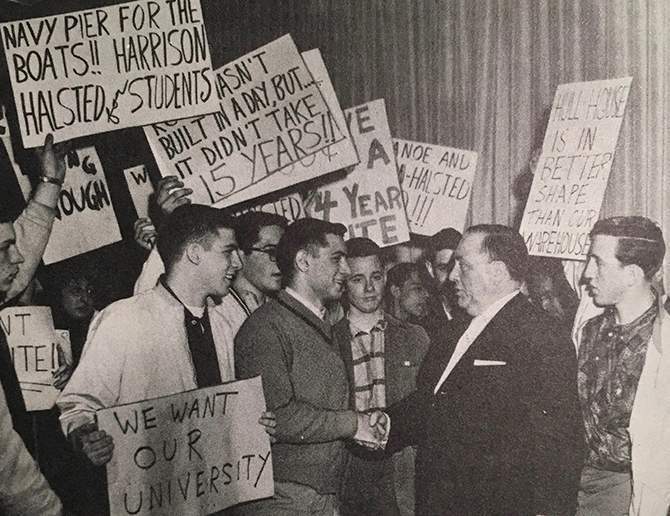 By the time Daley took office, the Pier campus was bursting at the seams with students lobbying for a permanent location. The University Board, civic groups and Daley wanted to move the campus, and they wanted to do it quickly. Just months later, in February 1961, the University Board accepted Daley’s offer of the Harrison-Halsted site. It wasn’t the mayor’s first choice, but it had unique advantages. Ironically, due to years of community revitalization efforts, many local homes and businesses had already been partially razed. Importantly, large portions had been declared urban renewal sites and put under city control. This would speed construction and defray city land acquisition costs since the federal government would foot nearly two-thirds of the bill under the urban renewal Housing Act. 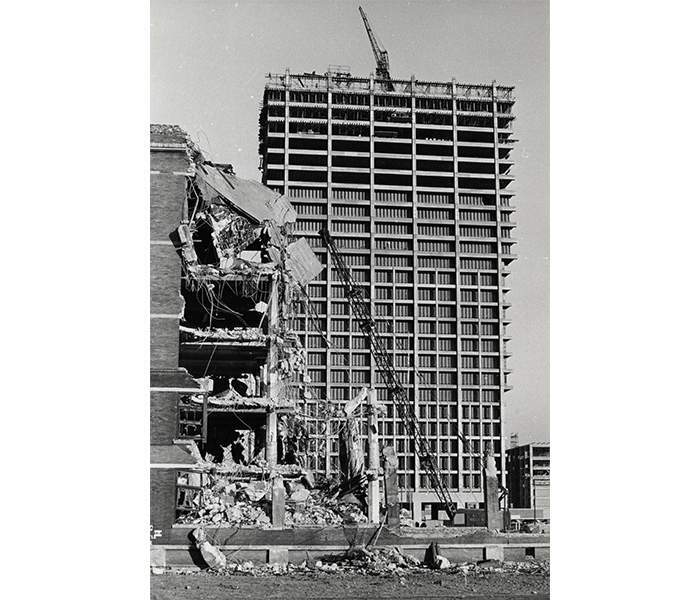 A community divided: urban renewal or urban betrayal? A charitable interpretation of Mayor Daley's intentions — contra theories like Ronnie's — is that he lost his bid for his first choice, so he turned to the only workable location available in time to take advantage of a state bond issue for construction support and even federal funds. But that’s not how the selection of the Harrison-Halsted site for UIC came off. In Boss: Richard J. Daley of Chicago, the late columnist Mike Royko wrote that residents were “stunned” by the announcement. “The neighborhood’s sense of betrayal was heightened by the fact that they had been a loyal Machine ward. 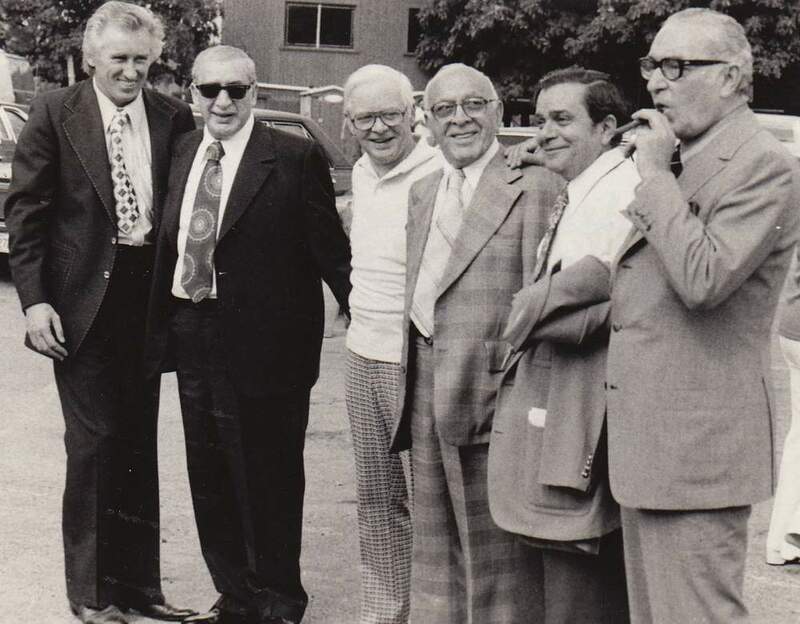 They poured out more Democratic votes than Daley’s own neighborhood,” Royko wrote. 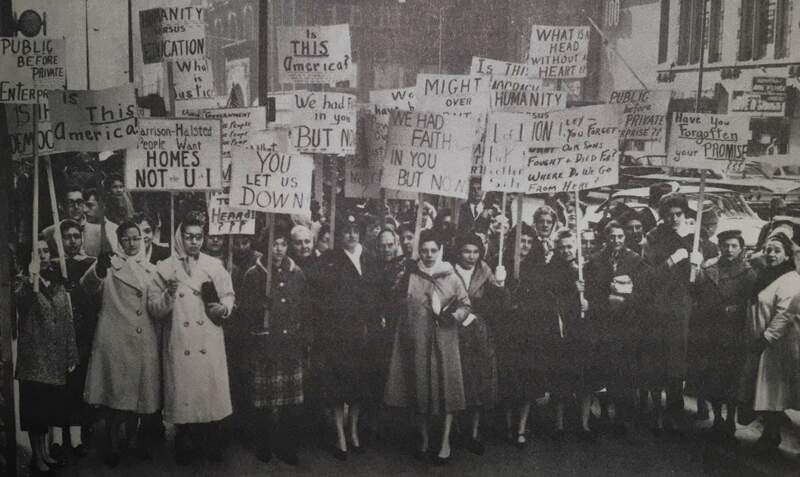 Florence Scala led such marches and even staged a sit-in at City Hall to protest the construction. Lawsuits filed by her and others dogged Daley’s construction plans for almost two years. The struggle officially ended in 1963, when the U.S. Supreme Court declined to consider an appeal brought by neighborhood activists. Scala was left embittered by the process. In a 2005 interview conducted by WBEZ, she said she felt the Mayor sided with might over right. 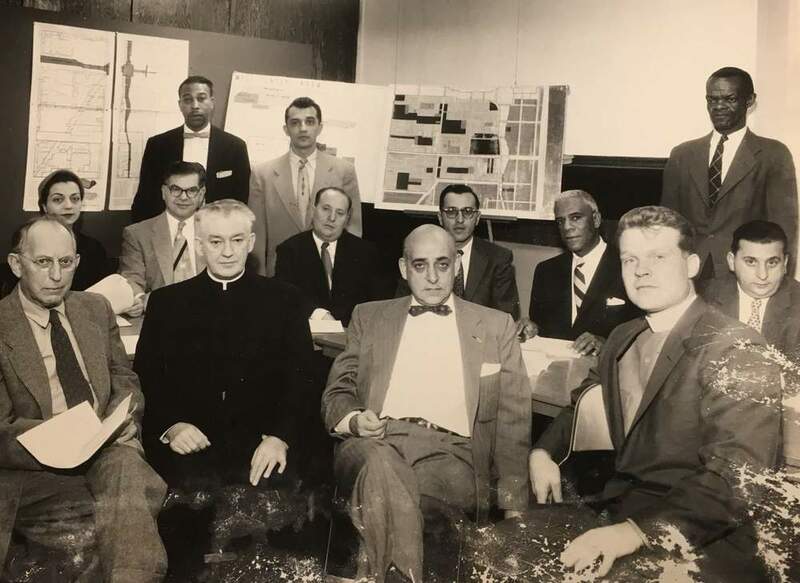 That kind of acrimony and disappointment over Daley’s decision has persisted for decades among portions of the city’s Italian-American community. It’s worth stopping here, though, to point out that — contrary to theories that this was a battle between Daley and Taylor Street Italians — many of Scala’s Italian neighbors either stood on the sidelines or supported the final UIC plans. 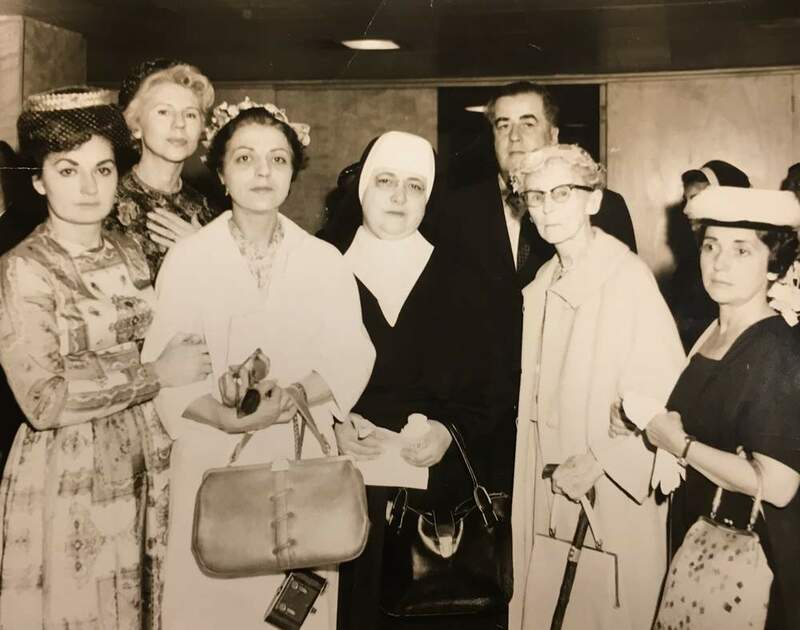 The silent included some residents, of course, but it also included institutions such as the Hull House Board and the Catholic Archdiocese of Chicago. One of the not-so-silent Italian backers of the UIC plan was a local lawyer and eventual powerbroker named Oscar D’Angelo, who died in 2016. He worked with downstate legislators to promote the plan and appeared at public meetings to defend it. And, as he remembered it, he paid a price. 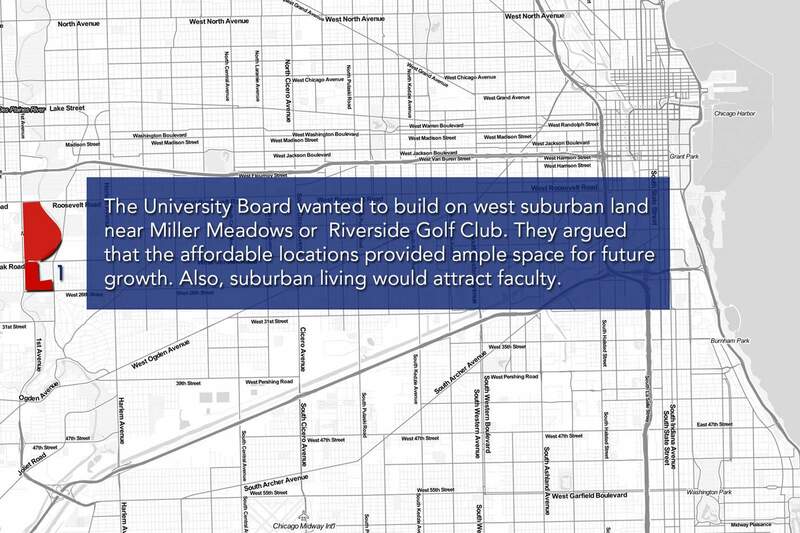 UIC construction would eventually destroy nearly half of his neighborhood, but in the video D’Angelo implies it could’ve been a lot worse. Ronnie’s theory about Daley using UIC to punish Italians takes on other variations depending on whom you talk to. “The very strong perception [on Taylor Street] was that Richard J. Daley always hated Italians and he wanted to deliberately break up the Italian neighborhood, that he wanted the Italian neighborhood to be decimated because we’d taken on too much political power,” he says. Taylor Street Archives online editor Vince Romano offers a more specific twist on this widespread view. If it seems odd that Outfit members would agree to give up their clout, Romano explains that they did so because they could also “fatten their bank accounts” — presumably, with profits from strategic land acquisitions in the area. 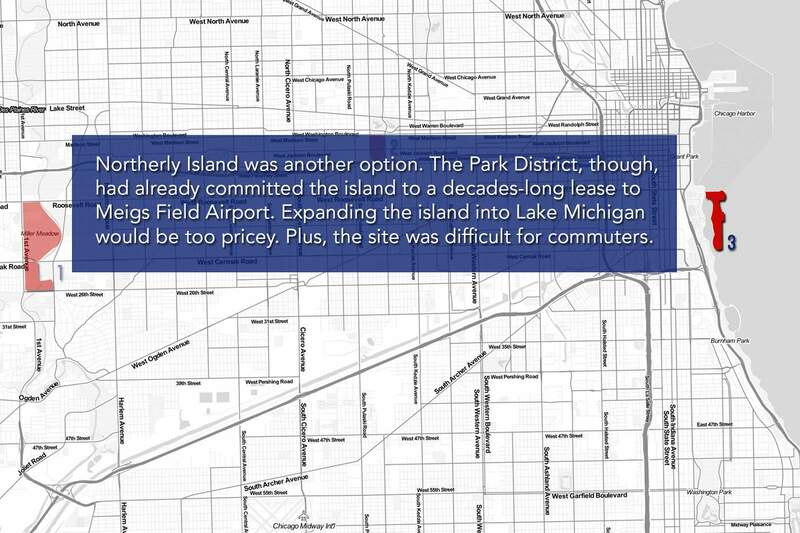 But economist George Rosen, author of Decision Making Chicago Style: The Genesis of a University of Illinois Campus, says he’s never seen evidence that such deals were struck before Daley offered the land to the University. And besides, he says, if that was Daley’s intention, it failed because the Outfit remained influential in Chicago politics until at least the ‘90s. 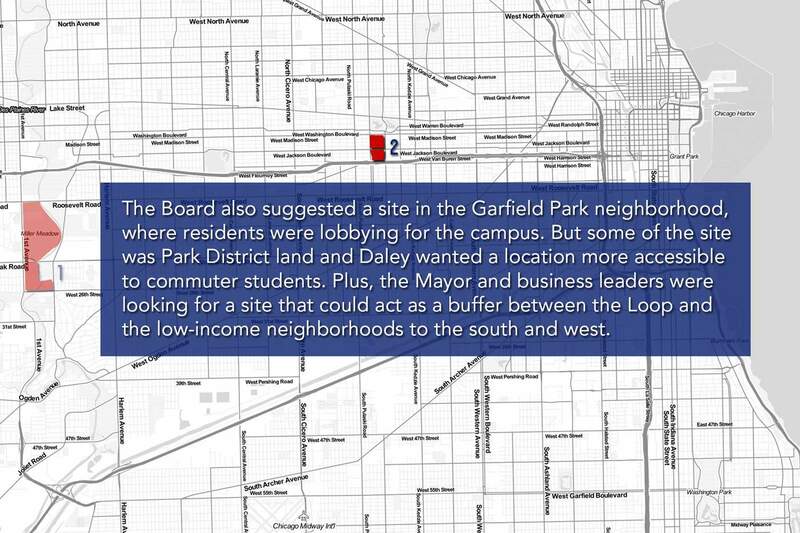 What of Daley’s own account behind the site selection? He shared it in a speech to a packed City Council chamber in 1961. Daley admitted to the Council that there’d be suffering, as there had been with the construction of highways and the Eisenhower Expressway. 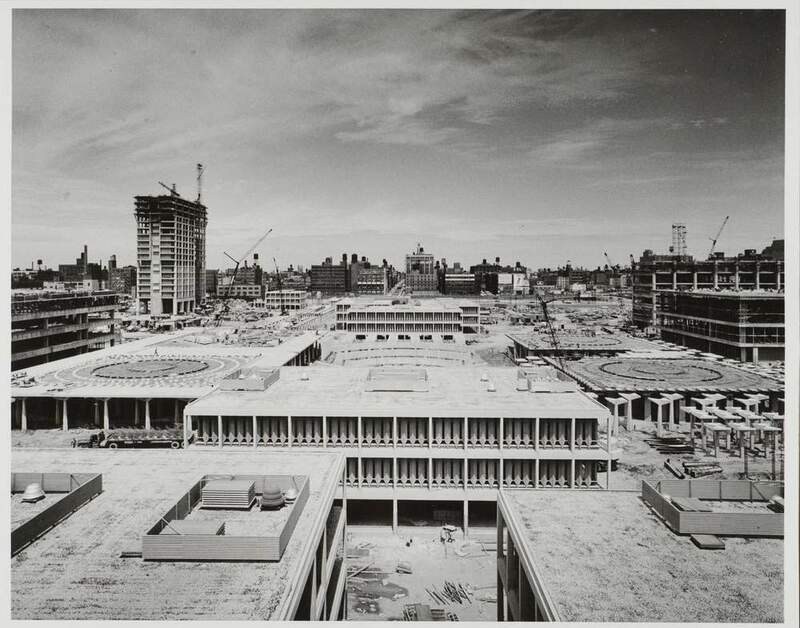 After the campus opened in 1965, Daley would consistently refer to the project as one of his proudest legacies; however, he also called it one of his toughest political calls — one he’d remain haunted by for years. At the school’s 10th anniversary celebration he was still defending it. Not everyone saw Daley’s decision as a straightforward example of the mayor’s reputation for strongman unilateralism. 14th Ward Ald. Edward Burke saw Daley’s determination on the matter as an act of bravery. After learning more about how the UIC decision played out, Ronnie’s rethought stories he’d heard from his youth. He acknowledges that some don’t entirely match up with key facts. 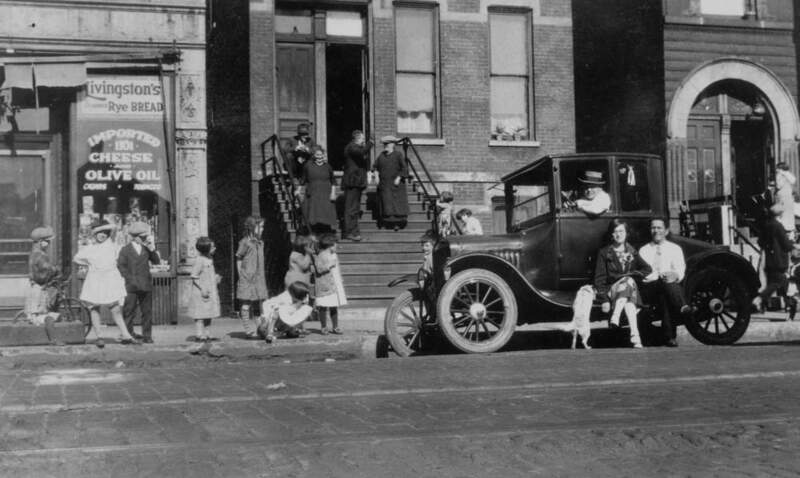 And he sees that Chicago’s already divided Italian community was further divided on this controversial issue. But Ronnie says he’s glad he had the chance to dig into the history and the personalities in Little Italy at the time. “Florence Scala is my new hero,” he says. 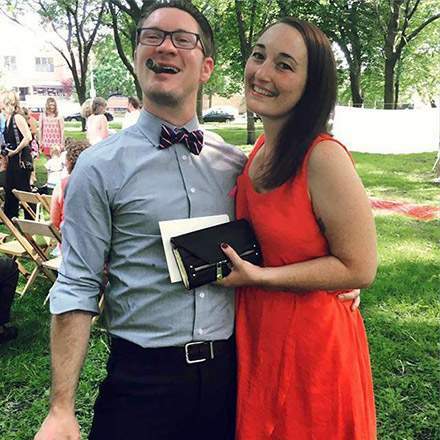 Ronnie DeMay is a building engineer and proud fourth-generation Italian-Chicagoan. He was born and raised in Chicago’s Rogers Park neighborhood, but today lives in Hermosa, where he homebrews beer, raises three chickens and grows Italian vegetables. Ronnie appreciates stories he’s heard about his grandparents’ time in Little Italy, but says he also understands that neighborhoods can’t stay frozen in time. Still, it doesn’t stop him from wishing for a more robust Little Italy. Kathy Catrambone says she feels Ronnie’s pain and is working to launch an organization aimed at reviving the Italian identity of the neighborhood.